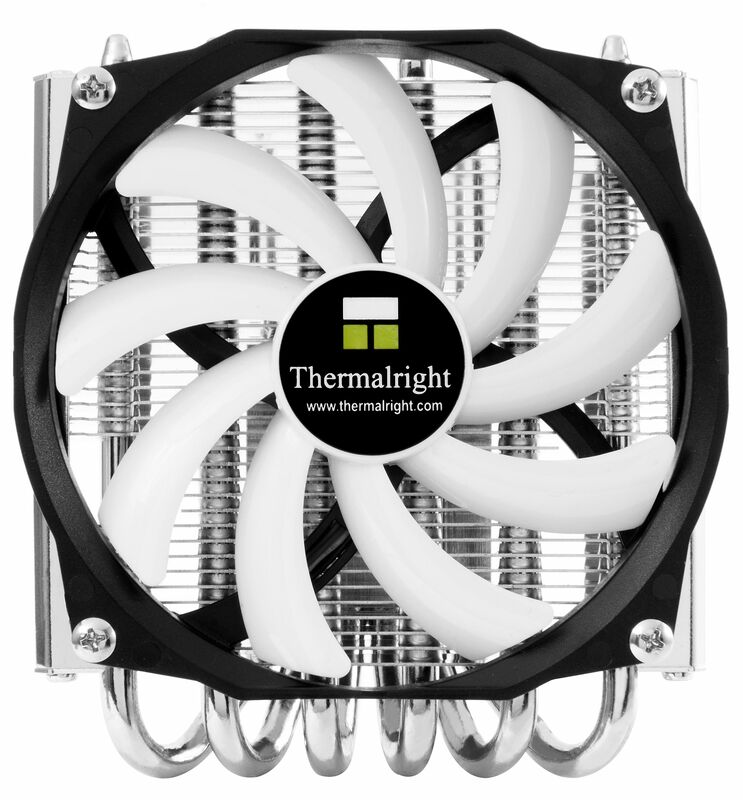 The Thermalright AXP-100H Muscle is perfect for cooling a CPU quietly where space is at a premium. The AXP-100H Muscle is a reworked version of the popular AXP-100 cooler, to prevent collisions with the built-in voltage converter cooler on motherboards. The AXP-100H Muscle is in line with its predecessor and maintains the unique price / performance ratio, which makes the compact and powerful HTPC cooler part of the "Value" series. The height of the cooler was only minimally adapted to meet the new requirements and stands at just 51mm (65mm with fan), making AXP-100H Muscle is the first choice when compact dimensions are of the essence. The AXP-100 Muscle is perfectly fitted for Home Theater/Multimedia systems with a low profile. 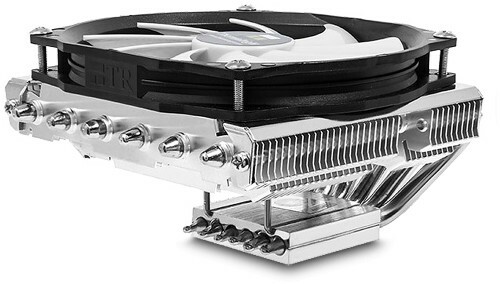 The AXP-100H Muscle makes use of the T-shape "down draft" cooler design, which directs the airflow perpendicular to the motherboard, allowing it to cool the surrounding motherboard components too. This way voltage converter, memory banks and chipset can be effectively cooled under ideal circumstances. 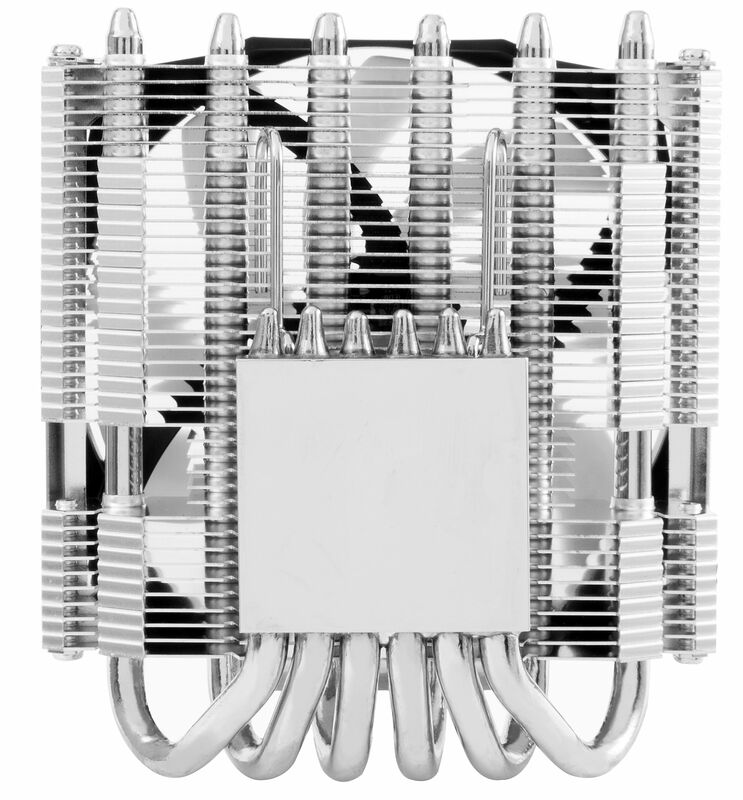 In total, the AXP-100H Muscle features six nickel plated heatpipes, which are soldered to the base plate to ensure the best possible heat dissipation. The special design of the 39 aluminium cooling fins is designed to minimise air resistance and effectively contributes to a particularly effective reduction in temperature. Included is a high-quality TY 100 BW fan with a fan speed of 900 – 2,500 rpm (±15%), which is automatically regulated by means of PWM-signal of the motherboard (if supported). The optimal ratio between sound volume (22 - 30 dBa) and cooling capacity is guaranteed at all times, without the need to manual intervention. The fan sports black & white colors. 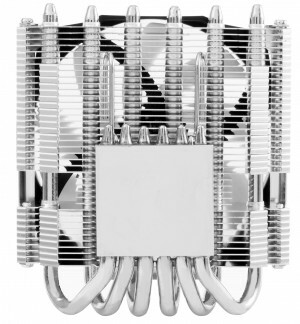 The fan covers virtually the entire heat sink, guaranteeing the best possible heat dissipation. The included universal mounting kit supports all actual Intel- and AMD sockets (Intel LGA775 / 1156 / 1366 / 1155 / 1150 / 1151 and AMD AM2 / AM2+ / AM3 / AM3+ / FM1 / FM2 / FM2+). The installation is easy and self-explaining - an illustrated manual (English and German) is included. The equipment is completed by the excellent Thermalright Chill Factor thermal paste (blister).